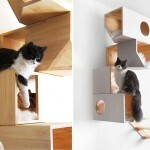 New Yorkers definitely love their cats, and now feline owners can give their beloved fur balls their very own urban oasis in the form of the Catissa cat tree. 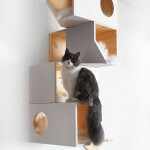 The stylish and modern cat furniture features four stories of lush cushioned sheepskin and can easily be mounted on the wall. 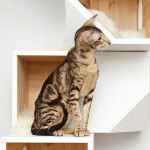 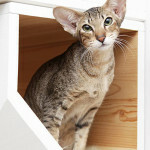 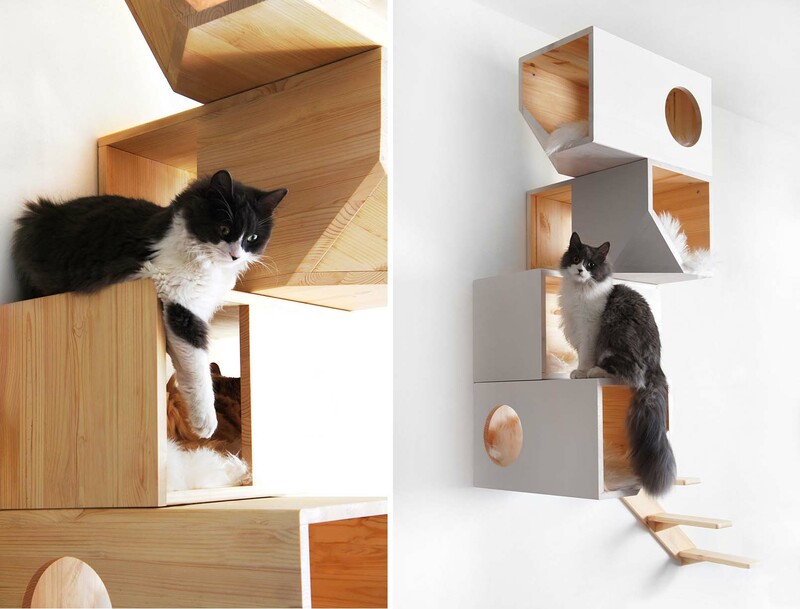 The unit was designed to allow your cat to roam, play, climb and sleep at their leisure. 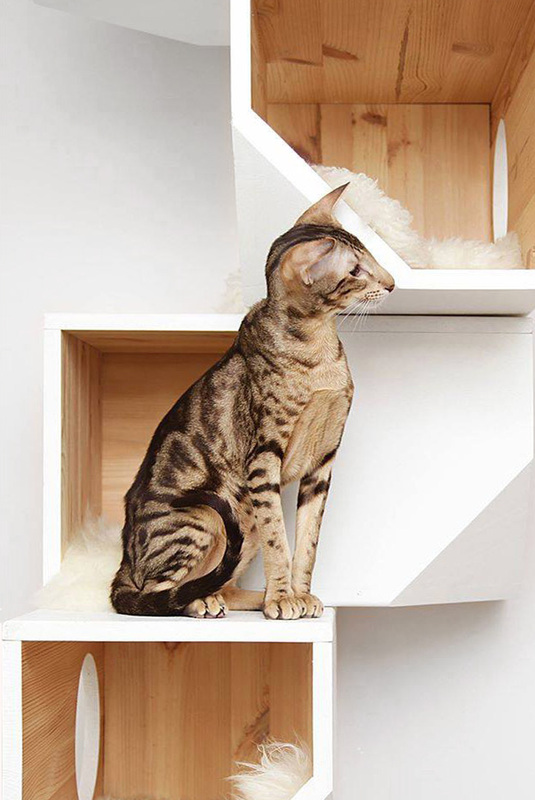 Designed to look like a piece of art, Catissa’s revolutionary wall-mounted feature will free up floor space that traditional and clunky cat trees would normally occupy. 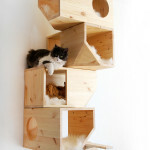 The abode is made from pinewood covered with a water-based varnish that doesn’t accumulate dust and is easy to clean. 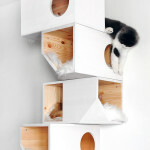 The module measures 11.8″ by 47.2″ and comes ready to assemble with cushions, four floors and a ladder. 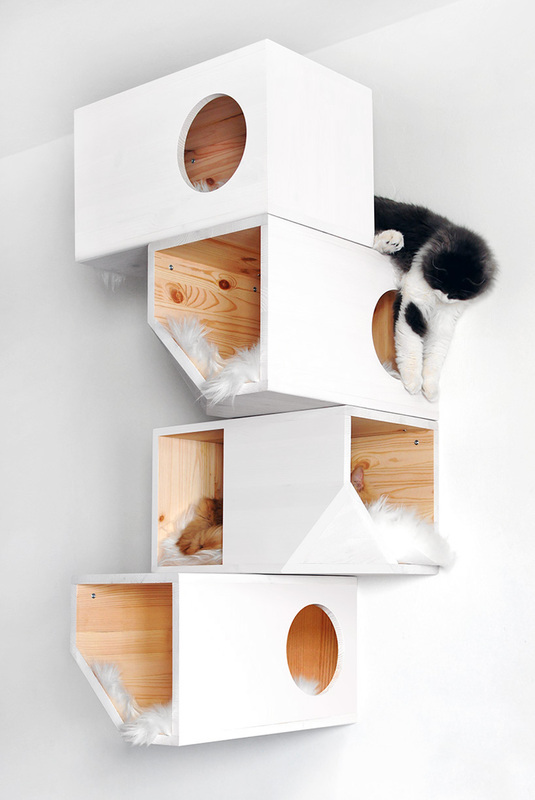 The units are available in natural wood, black and multi-colored options, and can be purchased on the Catissa website starting at $474.